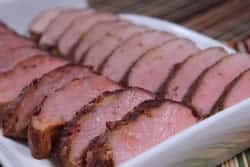 While much of the pork that we smoke and grill is anything but healthy, smoked pork tenderloin rivals lean white meat chicken in calories, fat and cholesterol. Eat it because it tastes amazing and enjoy the fact that it's also healthy! These often come packaged in sets of (2) and it rarely says so on the package for some reason. 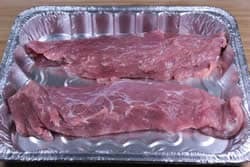 A good way to tell is by the weight– most tenderloins will weigh around 1 lb each so a 2 lb package probably has (2) tenderloins. If it says 1.17 lbs, there's probably only one in there. Remove these from the package and give them a good rinse under cold water. Pat dry with a paper towel and lay them on the cutting board. Use a very sharp knife to remove the silverskin that will often be along one side. Slip the knife under one end and just follow it to the end. If you miss a part of it, just give it another go. While you have the knife in hand, it's a good idea to remove any excess fat as well. As an afterthought, I also decided to use a different sticking base for each one. Mayonnaise contains oil and egg and makes a great base for applying rub and helping it to stick. 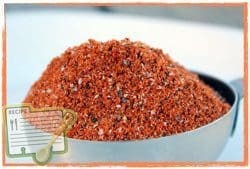 I often use this on chicken but felt it would marry better with the Texas style rub recipe. 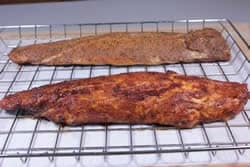 I used my normal mustard base with the original rub recipe on the other pork tenderloin. Make sure to get the rub applied well to all sides and the ends. 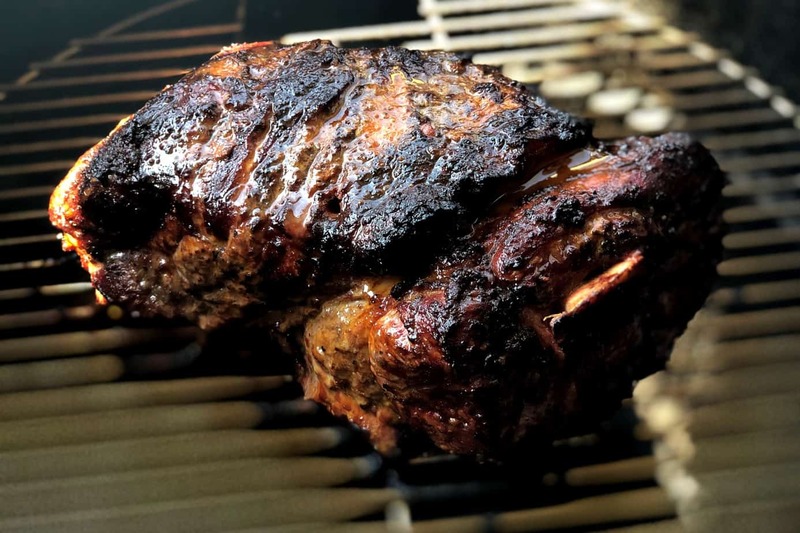 Set up your smoker for cooking at 225-240°F. If your smoker came with a water pan, use it. 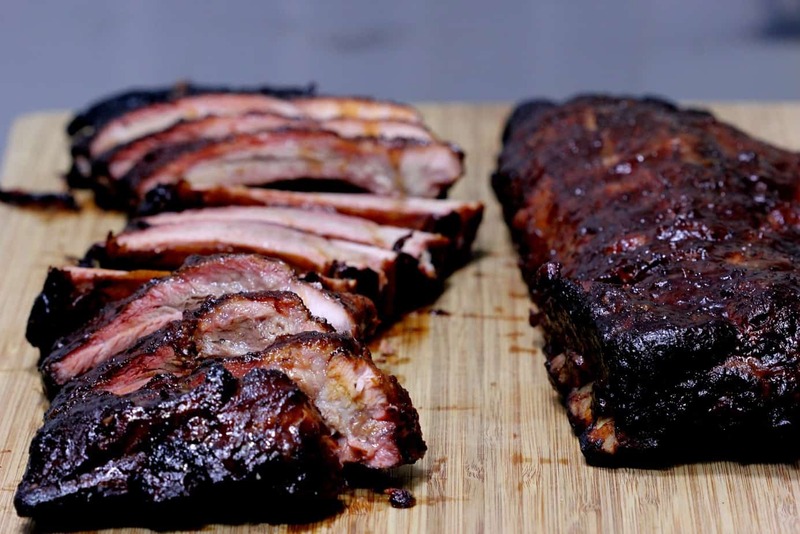 When your smoker is up to temperature and holding steady, it's time to cook. I placed the tenderloins on a Bradley rack to make it easy but you can also just place them directly on the smoker grate. 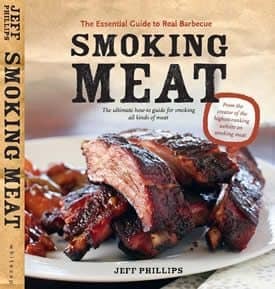 Keep the smoke going for at least 1 hour but it's ok to keep a light smoke going for the entire time as well. Cherry wood smoke goes great with this pork. 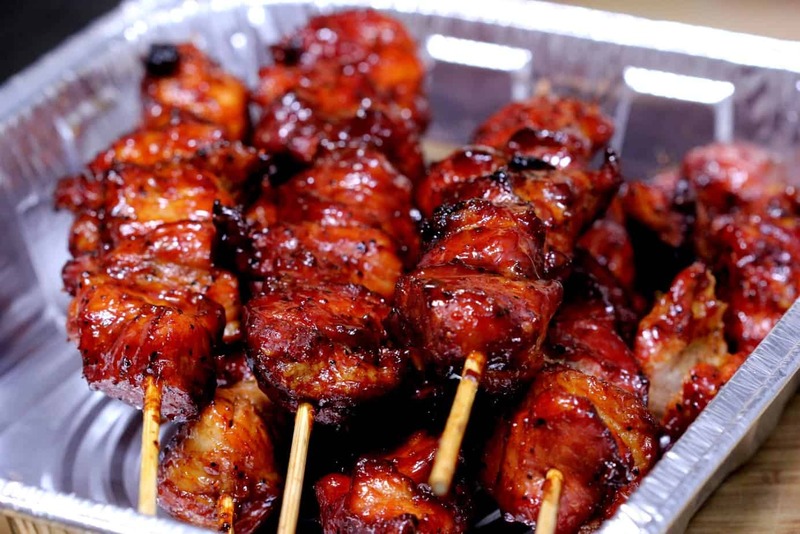 I highly recommend the use of a remote digital probe meat thermometer and you have plenty of options for these. The Smoke by ThermoWorks is my usual go to thermometer for things like this. The probe stays in the meat throughout the entire cook and is attached to the sending unit that sits next to the smoker. The receiver is in my pocket or next to me where I can see it. In this way, I have constant knowledge of the smoker temperature and the meat temperature without having to walk out to the smoker. 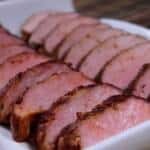 Is it vitally important that the pork tenderloin be removed from the smoker at 145°F. This is the safe temperature for pork. 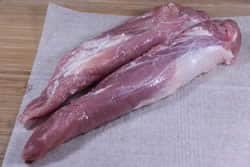 It should take about 1.5 to 2 hours for the pork tenderloins to reach 145°F. Place a foil pan or a piece of foil over the tenderloins for about 10 minutes to let them rest. Once rested, slice the pork into pieces and serve immediately. Pork tenderloin, like chicken, can be cooked hotter if you prefer and even cooked on the grill but I recommend indirect heat for all options. 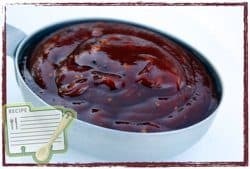 No matter how hot you decide to cook it, watch the temperature of the meat carefully and when it reaches 145°F, it is done. I am ok with the oval slices and because this reduces the thickness of the meat, it gets done faster if you just let it lay soft of flattened out. 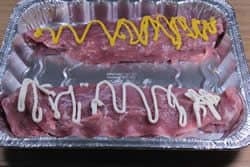 If you want perfectly round slices, use some cooking twine to tie up the pork tenderloin in about 3-4 places along the length of it. This will hold it in a round shape but will take slightly longer to cook due to the increased diameter. 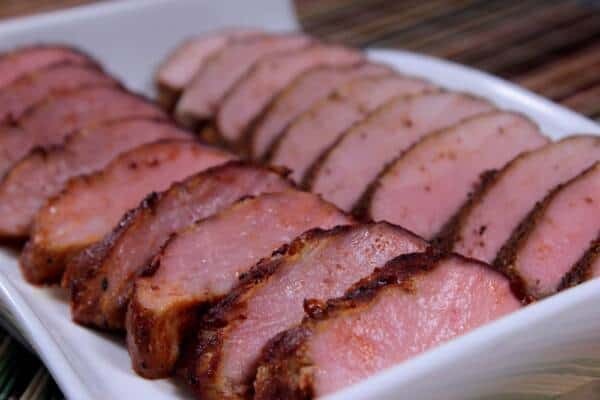 While much of the pork that we smoke and grill is anything but healthy, smoked pork tenderloin rivals lean white meat chicken in calories, fat and cholesterol. Eat it because it tastes amazing and enjoy the fact that it’s also healthy! These often come packaged in sets of (2) and it rarely says so on the package for some reason. A good way to tell is by the weight-- most tenderloins will weigh around 1 lb each so a 2 lb package probably has (2) tenderloins. If it says 1.17 lbs, there's probably only one in there. 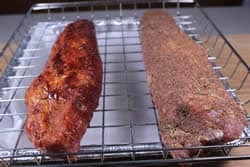 I normally use my original rub on all pork but I wanted to try out the Texas style recipe on these pork tenderloins so I did one with the original recipe and one with the Texas style recipe. Set up your smoker for cooking at about 225-240°F. Keep the smoke going for at least 30 minutes but it's ok to keep a light smoke going for the entire time as well. I highly recommend the use of a remote digital probe meat thermometer. I recently smoked a tenderloin on my new pit boss pellet smoker and it came out juicy and delicious. I used some apple rub my wife found at the store and smoked it with the pit boss competition pellets. Really juicy and cooked evenly. 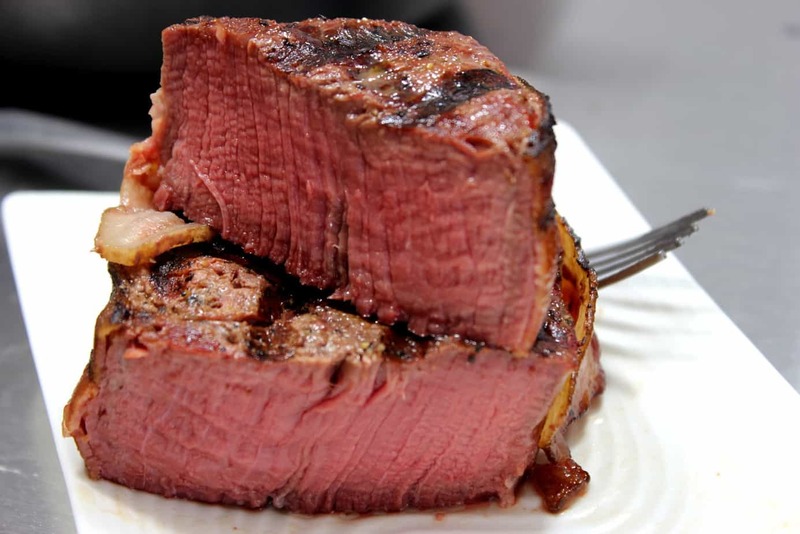 Have you thought of tying the two tenderloins together to form on evenly thick tenderloin? When cooking a single tenderloin, I use the cooking twine to double over the thin end so that it cooks evenly with the thick end. I usually cook my tenderloin on a Cobb grill so it also fits better on the small cooking top. I usually fold back and tie the thin end of the tenderloin to the thicker part to give a more uniform thickness when roasting in the oven. I would think this would (and will try soon) apply to the smoker too and prevent the thin tail from over cooking. That is definitely something you can do to improve that thin tail piece. I don’t always do that but it’s never a bad idea. Jeff, I know these are small, so not much carryover cooking, but I still pull them off a little early, like when they get around 137*. I let them rest under loose foil and they usually rise those last few degrees. I’ve been doing pork tenderloins for years, both grilled & smoked! They’re one of my family’s favorite’s!! 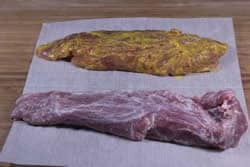 One of the things I do instead of using a mustard (or mayo) base is after I apply the rub, I wrap the tenderloin in plastic wrap like a sausage and put it in the fridge for a couple of hours to allow the seasonings to wet down & absorb. Also, while I’m trimming, I’ll square off the thin tapered end and cut off any loose bits of meat. Otherwise they often wind up to be dry, tough little bits that ruin the overall effect. I’ll grill/smoke these and either eat them or give them to the dogs as a treat. Thanks for all the recipe’s!! They’re great! !